The rubric is a simple grid that will instantly tell each student's strength and weakness. 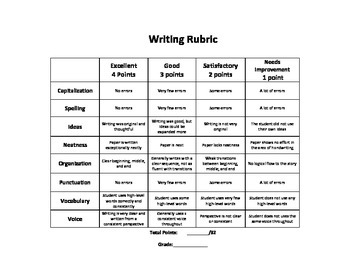 I also have a similar writing rubric that is for lower grade students. Don't forget to leave me feedback and to become one of my followers so that you can be notified of any sales. Thanks for your purchase!